Despite my aversion to the “unwashed masses” touching the puppies, I ended up bringing Kit Kat and Godiva to our adoption event on Saturday. I had arranged for Snickers’ meet and greet to be earlier that morning, so I loaded the three gals up and hoped for the best. Strange things about this litter and their mama. 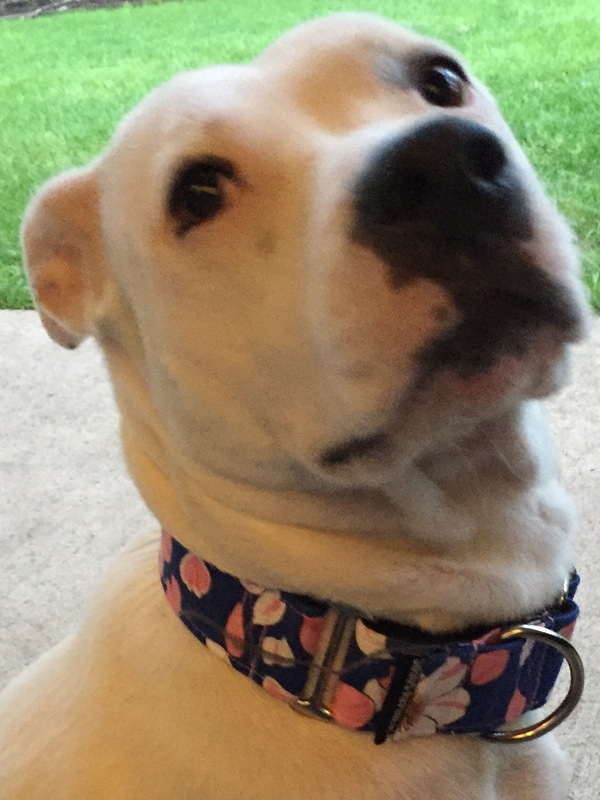 As the Fort Wayne Pit Bull Coalition, we really only deal with the bullie s (Am Staff, Staffies, APBT, American Bulldogs, American Bullies, etc) but I have a sneaking suspicion we got flim-flammed a bit. 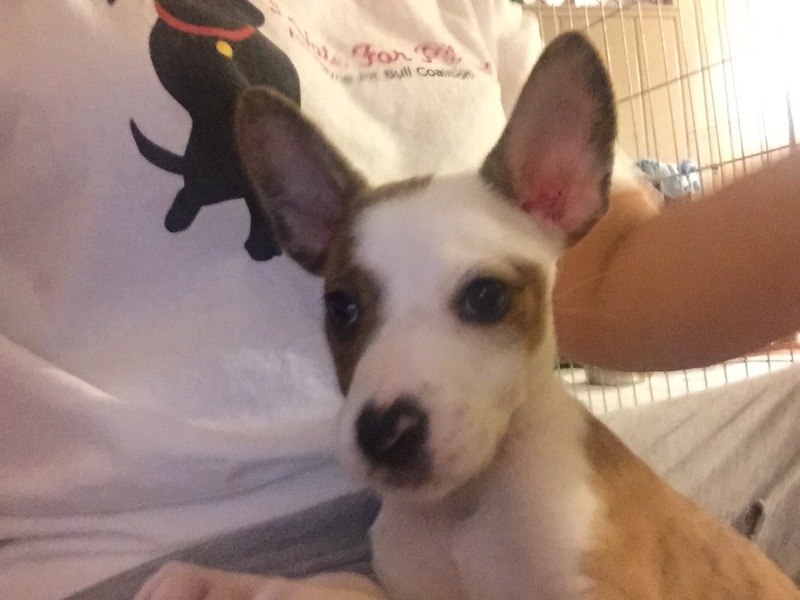 We know the father of this litter is a Collie-Beagle mix and Sugar? She’s small, easily confused with a small terrier or a cattle dog maybe. Toby and Godiva definitely have lug heads and they all have some Pittie traits, but easily taken for NOT a bully, which worked out well for Snicker’s adopters who rent and have breed bans. So as it turned out, as of late Saturday afternoon, the Peaceabull Assembly was devoid of fosters. I can’t imagine anything more stressful than wishing, hoping, praying and willing you to be healthy, Toby. 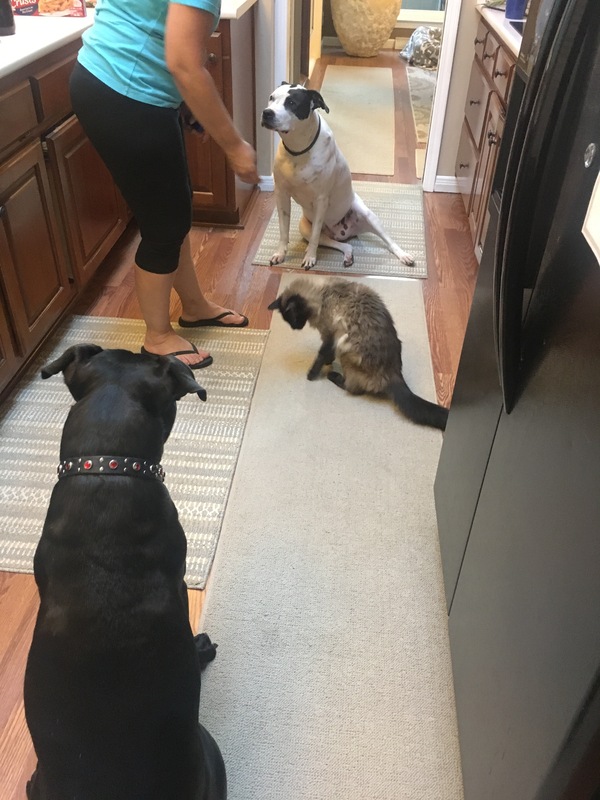 We don’t hold meet and greets or adoptions at the homes of our fosters or board members for fear of a constant stream of strays finding their way to our homes. 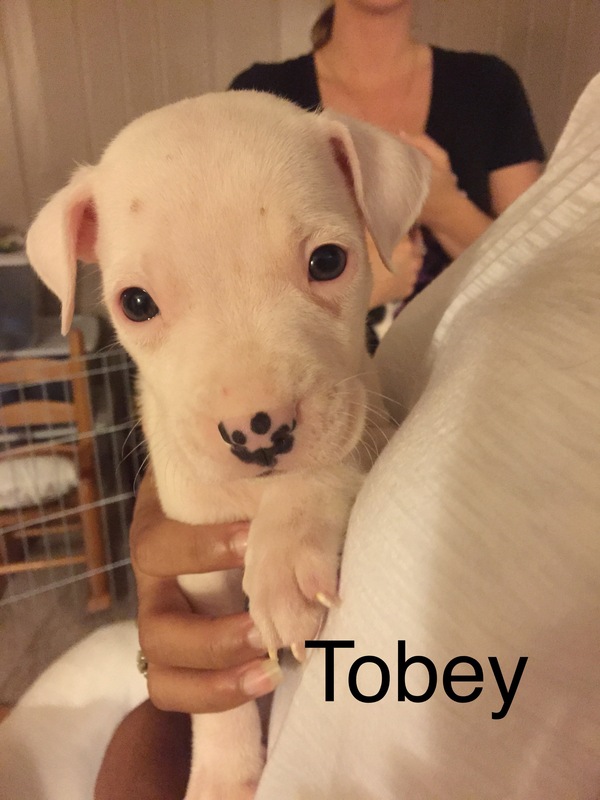 Toby’s adopters were good friends of a good friend and their application and message were so heartfelt and polite, so we agreed to have them over to Peaceabull to meet all the pups and hopefully find a match. 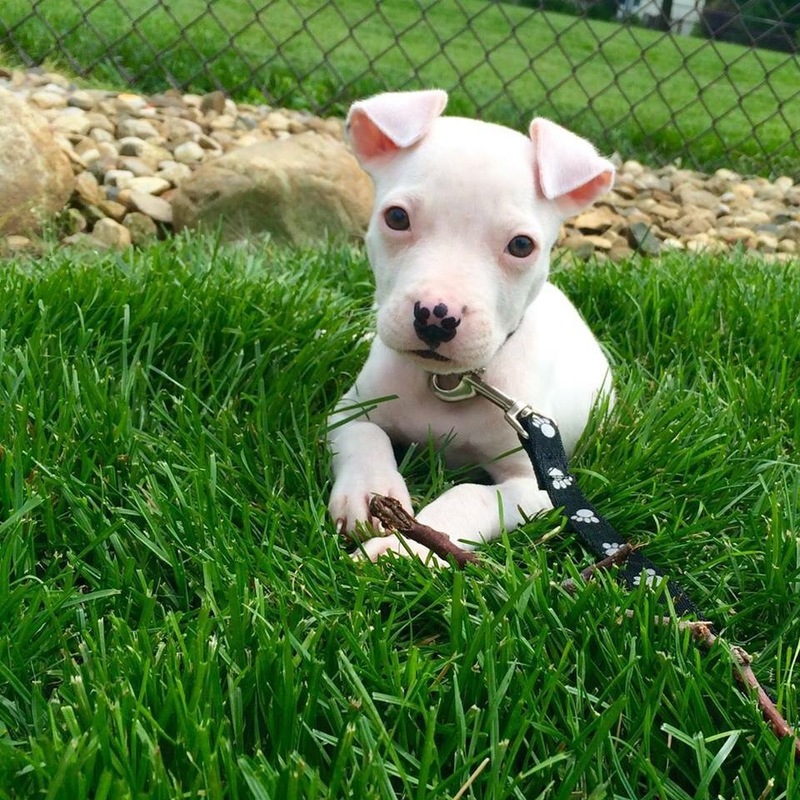 They had just lost their Pittie, Sammy, days before we pulled the pups and needed to fill the silence so when they fell in love with Toby we went ahead and finalized the adoption, although we all agreed that the following two weeks with his mama and his litter were crucial to this little guy. 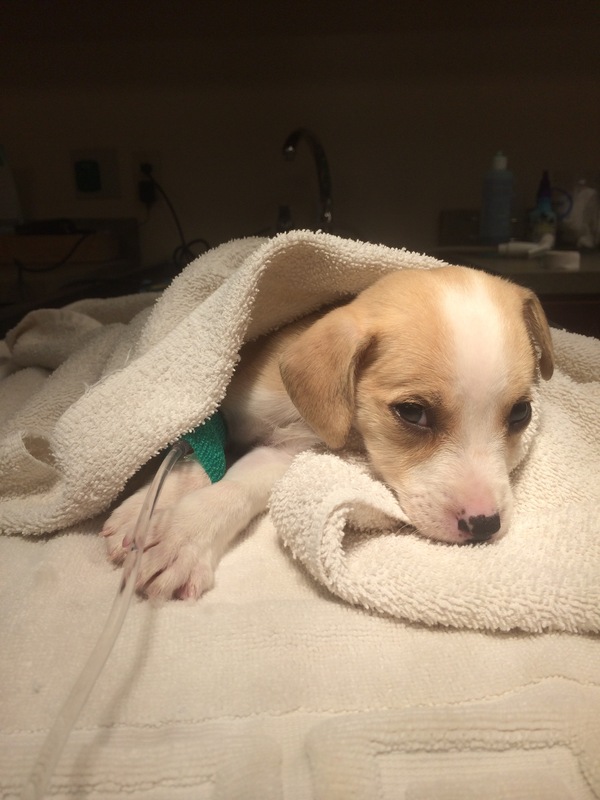 Just as we were excited for Toby’s bright future, Joy got sick and died, the remaining puppies began getting sick and we ended up with every single one being treated for Parvo and Coccidia. 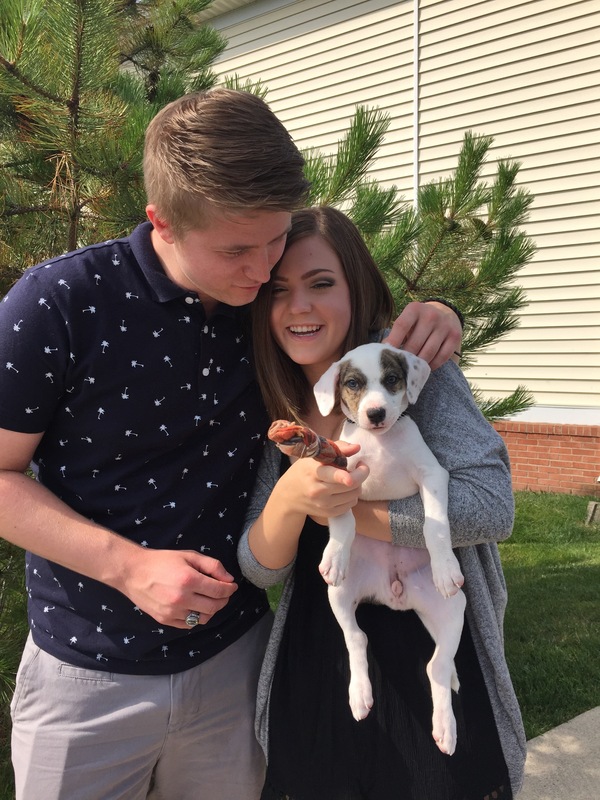 Always the sweeter of the two sweet boys, Toby pulled through and though he was thinner and bony, his loving (and sassy) personality remained intact and he was able to still go home with his parents on the previously scheduled day of July 2nd. His adoptive parents were so supportive and positive throughout the entire waiting period and I absolutely know he will have a good life and I will get Facebook updates (hopefully) daily! I’d have to say, he was my favorite. On the 7th we held a invitation-only meet and greet and brought the five pups as well as Coco, an adult female who had an application out to meet potential adopters. The first family in the door wanted to see Reece and that’s all she wrote. They were smitten with his fun-loving and easy-going nature and I’m sure his little heart-shaped nose didn’t hurt either. Reece is “all boy” in the best possible way; the most adventurous but not too mischievous, he negotiated up and down the stairs without hesitation and leapt head first into any situation. He will fit right in with that active young family. Reece was definitely my favorite. Ruthie also found herself adopted after snatching the place right out from under Snicker’s nose, but that is how Ruthie rolls. 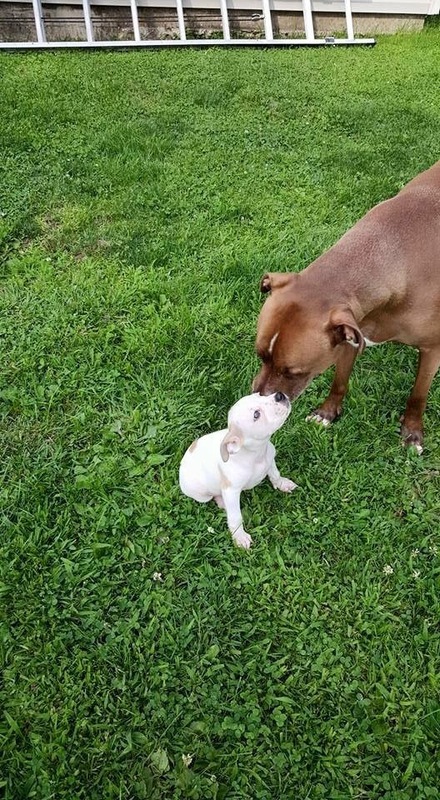 She was always the biggest of the litter and as such, was the bully of her siblings from the get-go. 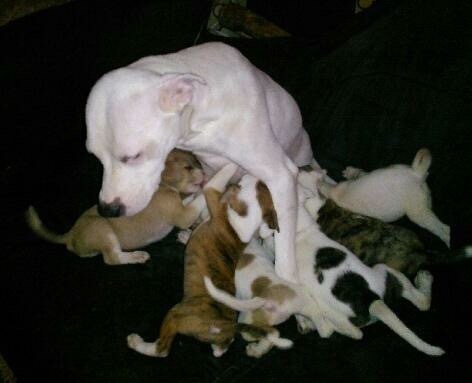 Most interestingly, like most bullies, she had a weakness for the unknown and the day the pups met Julius, they all swarmed him like screaming fans swarming the Beatles, except for Ruthie who yelped and hid for an hour. Once she determined that Julius was not going to harm her, she became his little shadow. 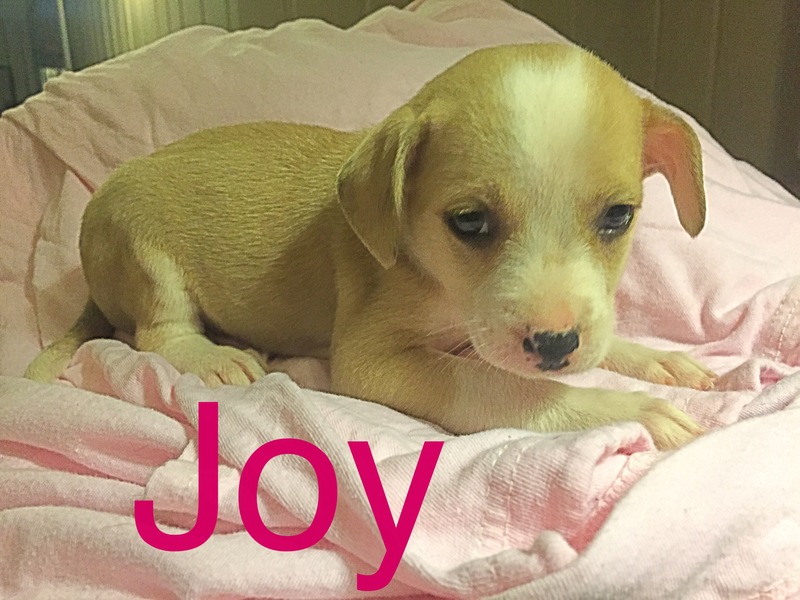 Baby Ruth was fun, affectionate and eager to be loved. 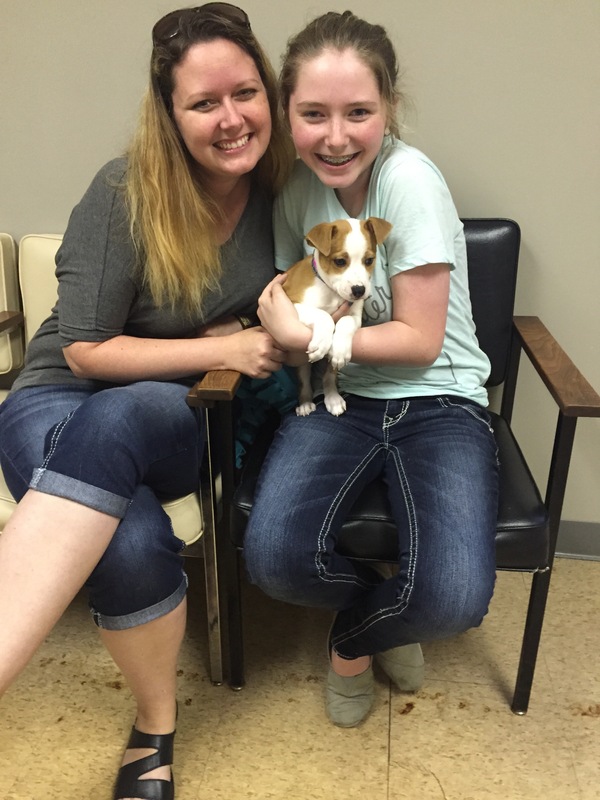 She went to a home with a sweet woman and her daughter who will love her always and forever. Baby Ruth was awesome and she was my favorite. Ah, my little Snicker Doodle-do. Snickers was always the most clingy and the most whiney vocal which was actually how I knew the moment she got sick. Being that she was a little bit quieter, I set her down and she didn’t whine or bark, so I knew she was sick. Snickers was always a mama’s girl in the weirdest way-she immediately bonded to me. 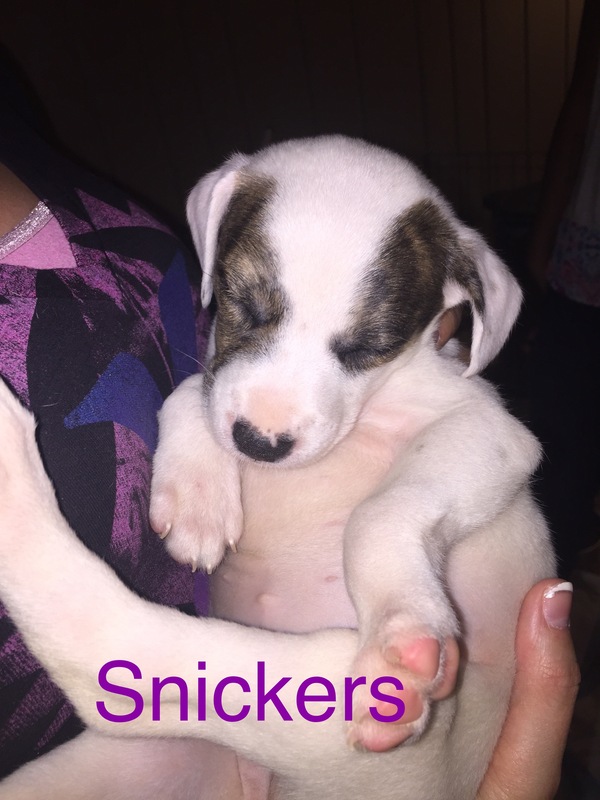 All the puppies would rush to Sugar for nursing but Snickers always wanted me to hold her or play with her for at least a minute or two each time she saw me. Snickers would put her paws on each side of my neck or try to climb on my shoulder to be closer and the home she found will be awesome, I’m sure. This young couple emailed that they wanted her, first to meet on Thursday then maybe Friday would be better since they were moving on Friday so we set a time then we set another time. Moving took longer than anticipated and by the time we rescheduled for Saturday, I was feeling like I’d be bringing all three gals to the adoption event. What I found couldn’t have been further from the truth. Their apartment was immaculate and tastefully decorated and oh so clean. Apparently it was not left clean and they spent an inordinate amount of time cleaning before being able to move in. Snickers was always the gal for them and so there she stayed. I constantly would tell Snickers, “I’m not your mommy and I don’t love you,” but I could tell she knew that she was my favorite. 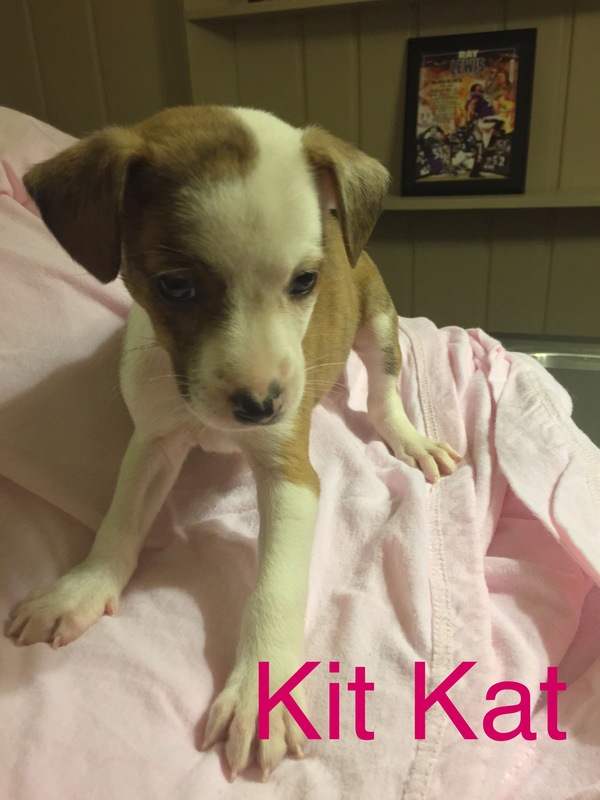 I loved Kit Kat for her chutzpah and of all the pups, she got a new name, which was a bit disappointing, because a dog named Kit Kat! She was my favorite. 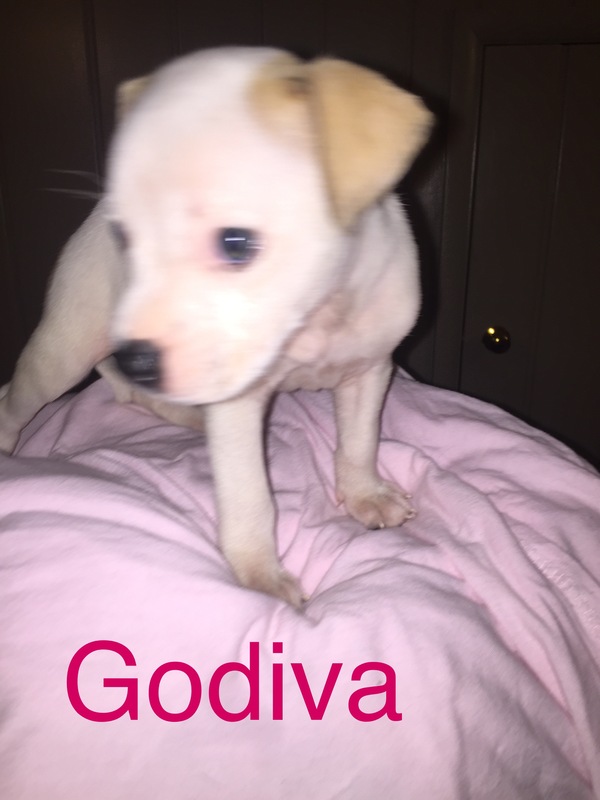 ‘Diva probably changed the most over the three weeks that the puppies were with us. 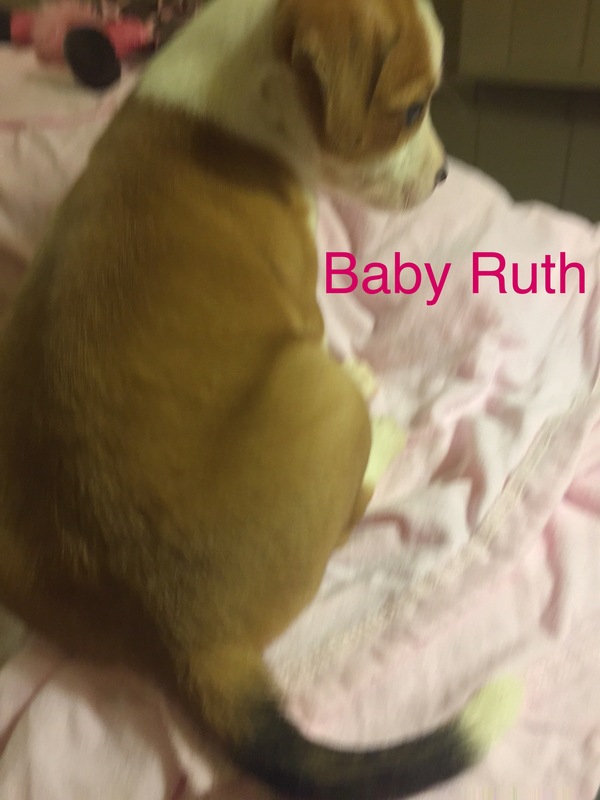 Before she got sick, she was the largest after Baby Ruth and she was the one I predicted might end up back in the Shelter system. She was the one who hung on shoe laces and pant legs and fingers and shirts and strings by her little stubborn terrier teeth. She was the one who would hurl herself into whatever was going on with the litter. The Diva was never one to start something but she would by gosh finish it. When she got sick, I think she took it harder mentally than any of the others. She got smaller both physically and by her personality. She became more tentative and more cuddly. During one of my visits while they were in clinic, she actually scampered away from the door and turned her back to me until she realized it was me. Then she sat in my lap and got some love. ‘Diva’s adoptive family will have to do more than any of the above to keep her and at the moment are actually fostering to adopt* to allow for more transition time. She has a dog selective…’uncle’ (?) whose stamp of approval is harder to come by though she and her new dog sister Lucy are already in the throes of love. 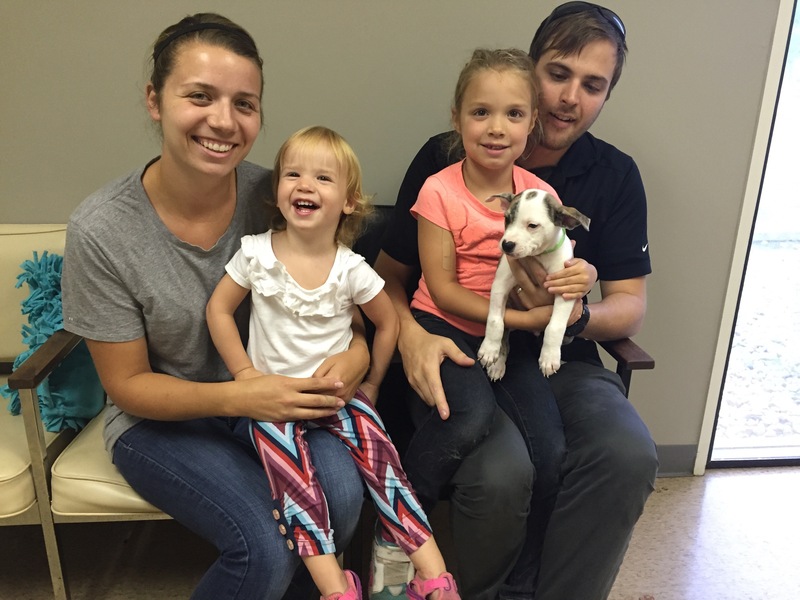 This family will ultimately end up adopting this little girl who is going to have a wonderful life. She was my favorite. But what happened to Sugar? Check back tomorrow. 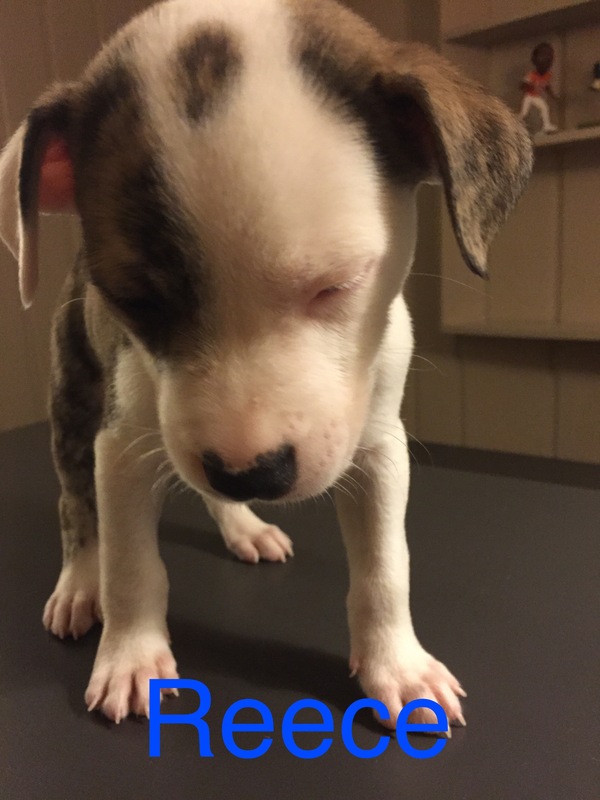 *As I was adding pictures I got the message that the adoption will soon be finalized. Diva is home. Sometimes a girl just needs to feel pretty and maybe have a little something to call her own, and no one understands that better than her fairy dogmother. As often happens when an animal comes into rescue, they have nothing; not even an collar to call their own. 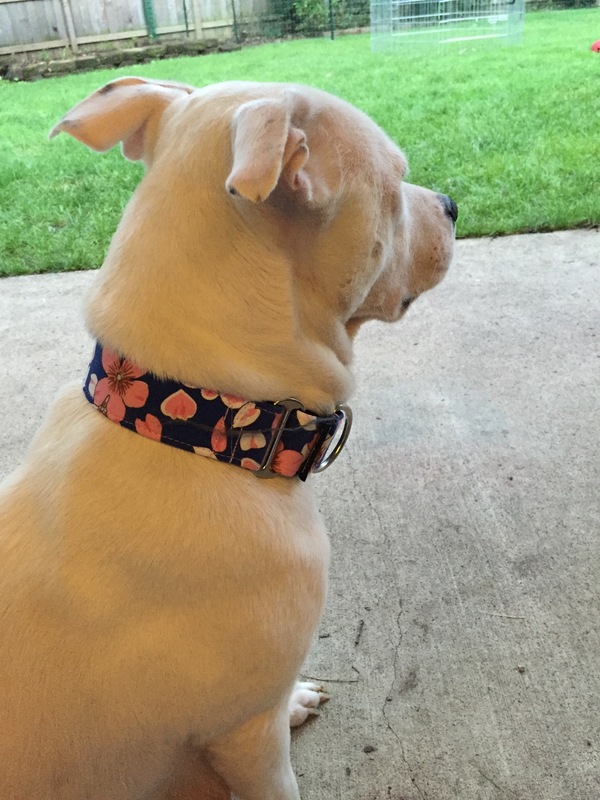 Puppies are usually carried and older dogs are led by a slip lead then equipped with a borrowed collar until adopted. That is, unless you are fortunate enough to be acquainted with this loving crew. 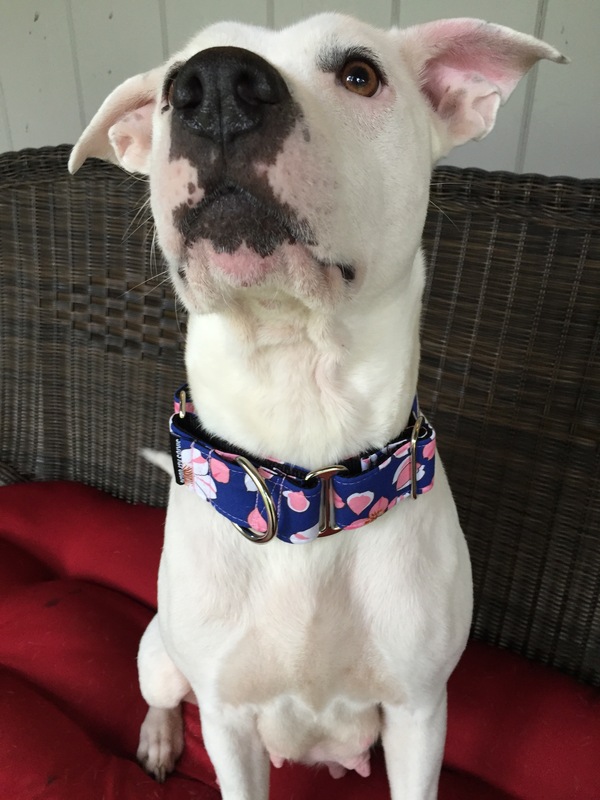 Sugar was just that fortunate in that the generous souls at Oh Melvin provided her with a Sirius collar of her own. See how fabulous she looks? After pouring over the fabric selections for hours we finally opted for Blossoms, thinking the pink and white flowers were just so her while the blue background just pops against her soft white fur. What do you think? Dreamy, right? There’s more, but we’re holding on to the secret for later!